Dean 'Rocket' Hall is waiting until the dust settles before talking about DayZ updates. The War Z's implosion inspired a lot of chatter, little of which Dean 'Rocket' Hall, creator of zombie Arma 2 mod DayZ, has been able to avoid. In a Reddit thread titled 'in light of the recent events surrounding The War Z, I think it's more important now that Rocket and his team take their time with the standalone', Hall stepped in with a quick statement about how things were going, and what he was up to. Saying he was depressed about the situation, Hall announced that there would be no updates about DayZ's progress until after everything had gone back to normal. Health issues and personal worries meant that, for his own wellbeing, Rocket ought to keep things quiet for a while. I know I have been very quiet lately. So this will be really all I'll say for the moment. I've been pretty depressed about the whole situation. From a personal standpoint, this whole "saga" of the development made me seriously question if I wanted to be involved in the industry and I gave serious thought to cutting my losses and not being involved in the project. At my Army Discharge medical this week, they noted I now have high blood pressure. Some things in life just aren't worth worrying about. I've been getting hammered by a massive amount with requests for information about DayZ release, interviews and my reactions to this and stuff and such - but for my own sanity I retreated and have kept to myself. Right now I'm just at home doing bits and pieces on the DayZ development. The rest of the DayZ team is doing the same. I realize that I went back on my word about releasing an update, but went back into my shell for a bit last week, and I'll come out when the dust is all settled. 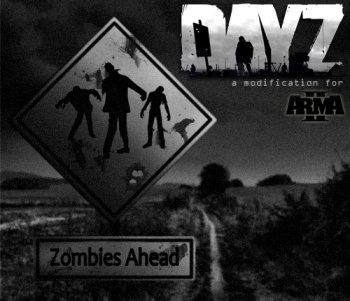 The DayZ standalone had originally been scheduled for launch by end of 2012, but recently Hall said that the date may slip to 2013.